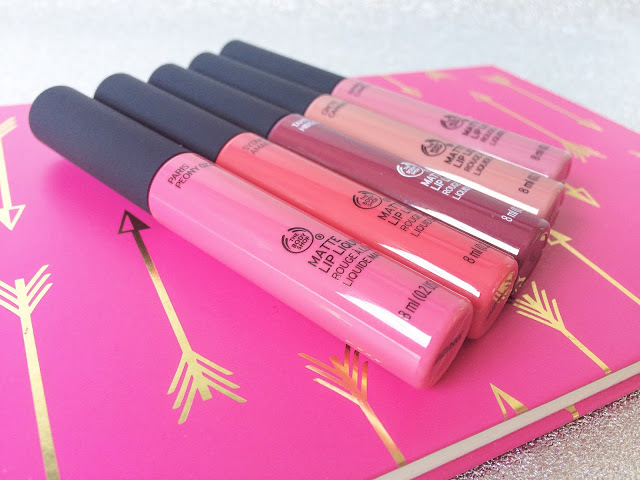 BEAUTY | BODY SHOP MATTE LIP LIQUIDS REVIEW + SWATCHES! Who else is so excited that autumn is officially here? I’m a January baby which means I love the colder months. The coats, the boots, the darker clothing, the deep-coloured lips. Finally, the make-up looks that suit me best are back on-trend during the autumn. Being a pale brunette, I suit a dark smoky eye and a berry lip. Autumn is also the best time to me to experiment with make-up. I can’t be bothered to go out on a night so I try new make-up looks so that when I do eventually leave the house, I can wear a plain outfit with a snazzy new make-up look! When I was younger, I’d always go for a glossy lips; however having long hair, it always meant that it got stuck! I was so glad when matte lips came to the forefront because it’s so good for us long-haired folk! 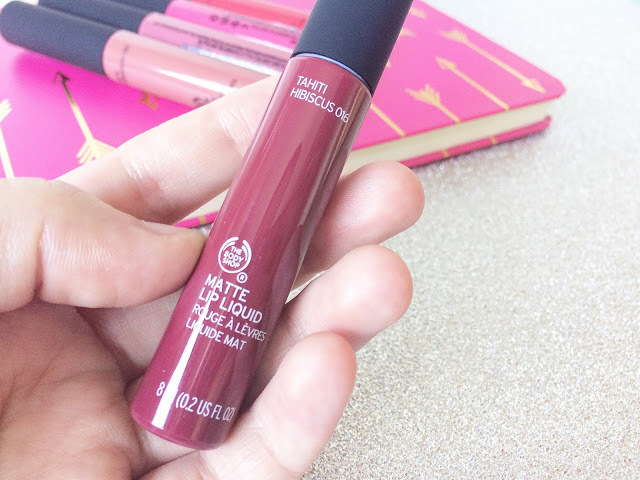 Matte lips can look either subtle or statement too which I love the most about them! 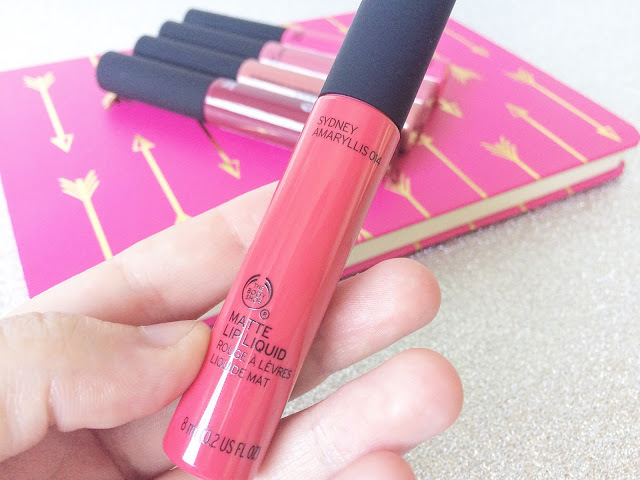 I’ve tried a few different brands of matte liquids but The Body Shop has to be by far my favourite one. 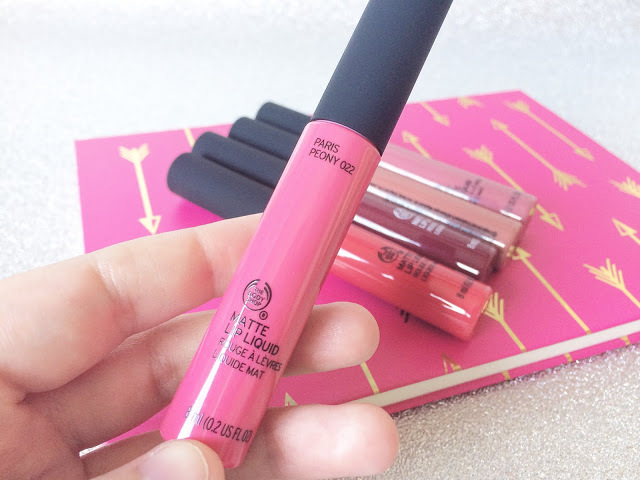 I’ve previously tried Goa Magnolia which is a fuchsia colour; it’s not a shade I go for frequently because it’s quite bright but if I want a pop of a bright lip, it’s my go-to tube! In their collection, there are twelve shades to choose from. The choice of colours are exactly what you would need in all honesty. The shades I went for are Paris Peony, Sydney Amaryllis, Tahiti Hibiscus, Crete Carnation and Nairobi Camellia. You can see each shade closer up in the pictures below. 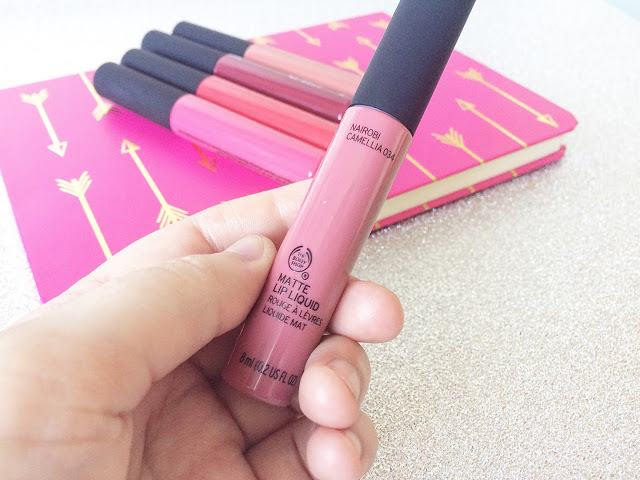 I tend to stick with pinks and reds on my lips as you can usually find a shade that suits any look! 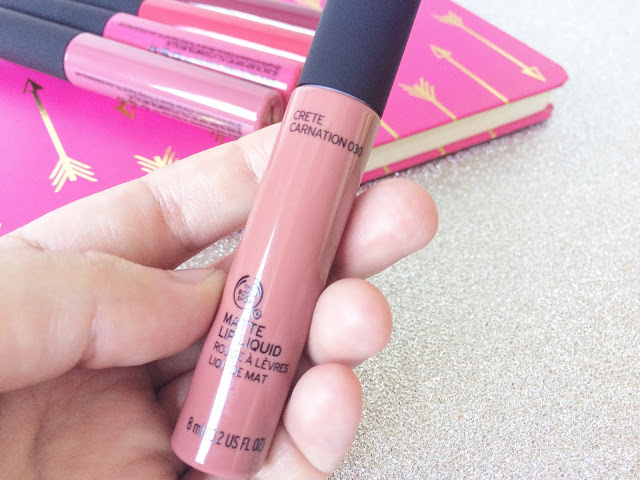 The applicator glides on the product pretty smoothly and I’ve found they’re quite long-lasting. I sometimes have to do a top-up if I’ve been wearing the shade all day but I’ve usually had food in that time so it’s to be expected! At £6 each, I really do think they’re so affordable. Like I say, I now own six of these and am tempted to buy a couple more in the collection that I’d definitely wear. 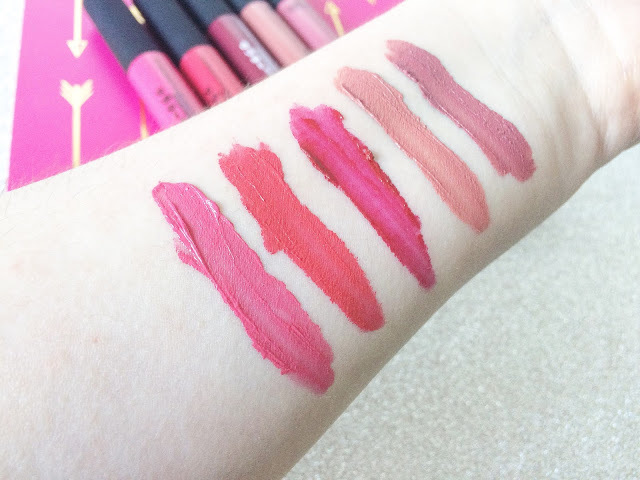 As you can see from the swatches below, the colours are pretty pigmented! 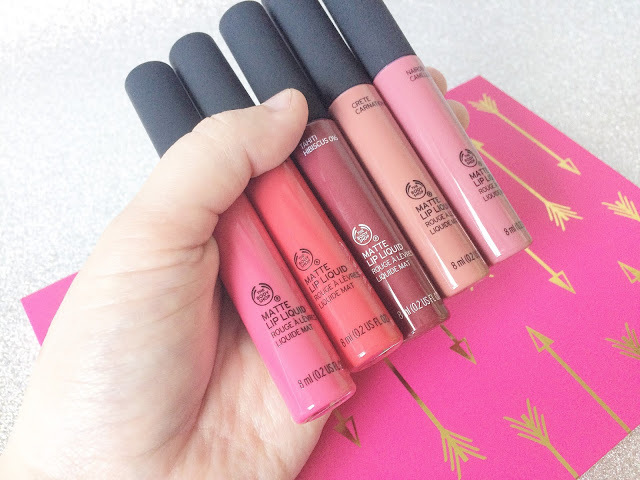 You can find the matte lip liquids at your nearest Body Shop store or online here. I have found the colour online does look slightly different to the product itself so if you’re unsure, I’d recommend going in-store first! 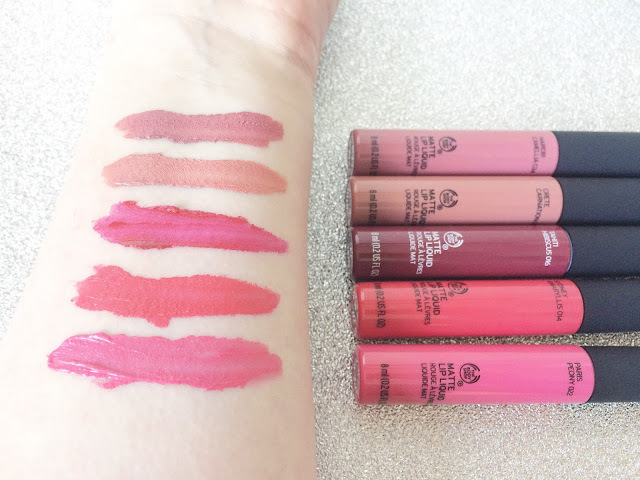 It also seems like they discontinue shades a bit so they are always bringing out fresh colours to replace them! I’m hoping they bring out a couple more deep red shades for winter so I’ll definitely be keeping my eye out for them if they do!